Normandy Optical LLC has been providing full-scope optometric care for its patients for over 30 years, and Dr. Michael Wojton has been practicing optometry at Normandy Optical since 2000. I’ve been working with Dr. Mike for quite a few years now. 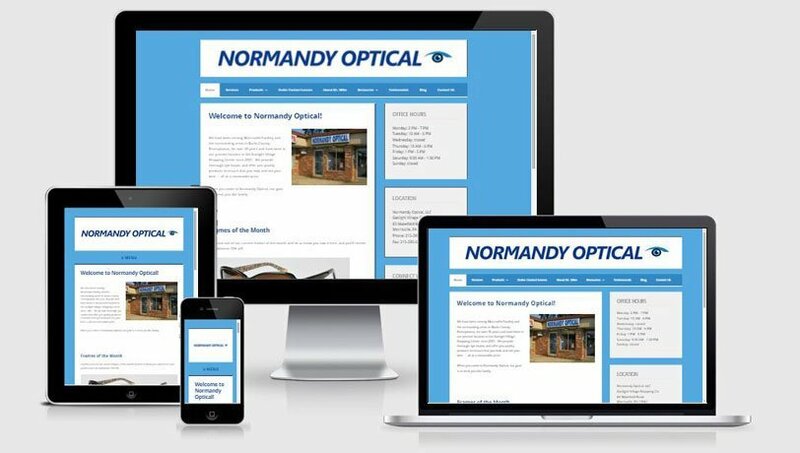 When I first created a site for Normandy Optical, I put together a fresh, clean, and easy-to-use site. After a few years, Dr. Mike still liked the overall look and feel of his site, but was ready to give it a responsive facelift and get it switched over to a theme framework. I also help Dr. Mike out from time to time when he’s ready to post an entry to his blog and send a newsletter to his mailing list telling them about the new post. Bonnie designed a great website for my business in a timely fashion and at a reasonable price. She is easy to work with, offers professional advice, and is prompt in replying to my emails and phone calls. What I like best, however, is how she remains patient with me despite me asking the same question multiple times (computers and I do not get along).